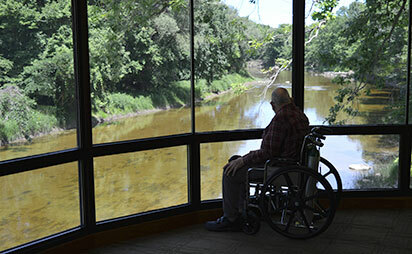 Open seven days a week with free admission, the barrier-free Visitor Center features a hands-on Ecosystem Gallery, Wildlife Viewing Area, River Overlook, Nature Discovery Area, Bur Oak Theater, Nature Center Store and Little Free Library. Two accessible trails are located directly off the main, paved parking lot. Accessible restrooms and a drinking fountain are available in the Resource Building. All trails and the Resource Building are open dawn-to-dark daily. The Chippewa Trail is a 3.5 mile paved trail between CNC and the Tridge in Downtown Midland, traversing through a variety of ecosystems. Snow is not cleared from this trail in winter. 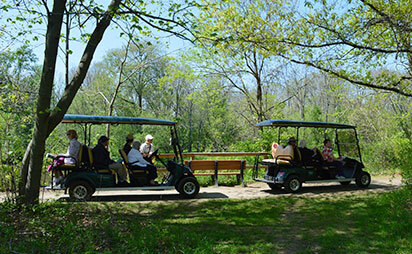 The Arbury Trail is a 0.4 mile paved trail adjacent to the Visitor Center. Along this trail is Arbury Pond, a river overlook, meadow and forest. Snow is cleared from this trail in winter. 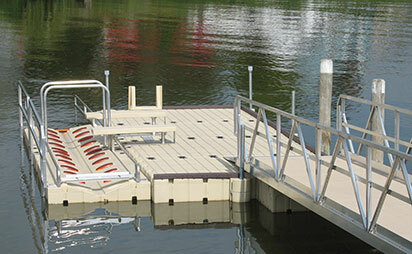 The accessible canoe/kayak launch located on Chippewa River Road just west of M30 is available for all to enjoy our local rivers, whether they are wheelchair users, have limited mobility, trouble with balance and even those who would just appreciate an easier, smoother entry into and exit from their canoe or kayak. There are also accessible canoe/kayak launches at the Tridge in Downtown Midland and at Sanford Lake Park. 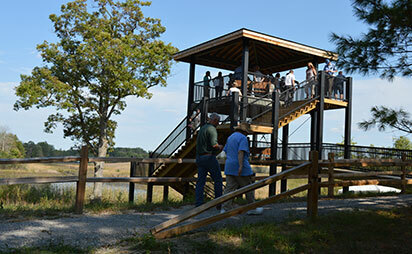 The first level of this two-story tower at the Wetlands Area is accessible by ramp. The tower is a great vantage point to see three marshes and wildlife such as ducks, geese, herons, beaver, muskrat and songbirds. 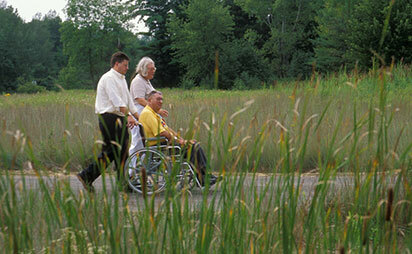 CNC offers programs well-suited for those with limited mobility such as golf cart tours, as well as indoor programs. Watch the calendar for details.